I recently visited the Garden Festival at Christchurch Cathedral. I can manage not to kill a number of houseplants, but I’m not big on working in the yard so I skipped the talks by the professionals, which also carried a fee, and wandered through the assorted booths of food, crafts, plants, and animals that had been set up on the grounds. Two of the plant vendors particularly caught my attention. 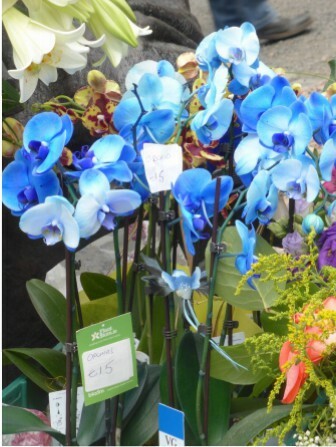 The first contained these brilliant blue orchids (they were even better looking in person). I don’t think I’ve ever seen orchids that color before. 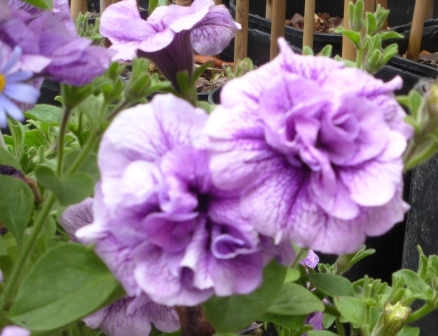 Purple petunias sprouted from a hanging pot in another booth. It’s one of the times I wish I had a car, because the thought of hauling them on a 30+ minute walk back to the bus held no appeal; especially since I had to stop for groceries as well. 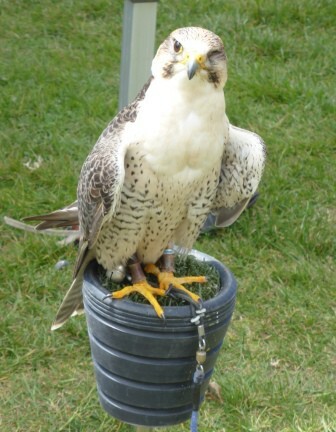 Also on display were assorted birds from the Dublin Falconry group. 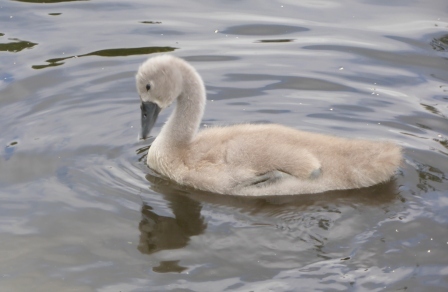 They had everything from barn owls to buzzards. 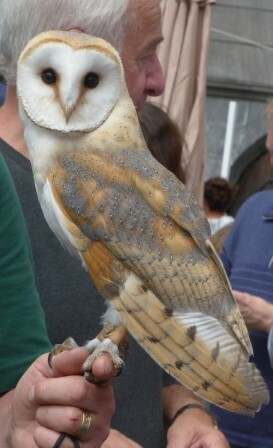 This particular barn owl was really only a baby – just 12 weeks old (they must grow fast!) and would turn a darker color as it aged. Below are two Peregrine Falcons. The hood keeps it calm, especially around crowds. 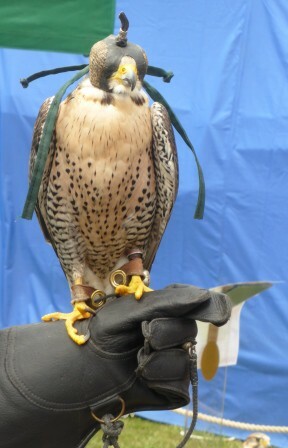 Although many people reached out to pet the owl, I don’t think I saw any do the same for the falcon – hood or not. 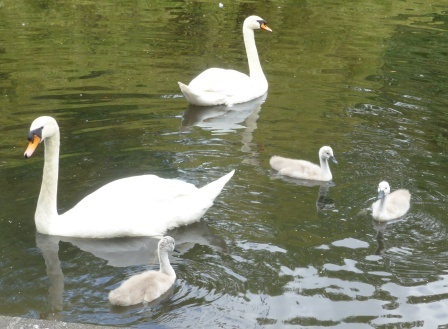 Just in case you’re wondering, the swans and cygnets in St. Stephens’ Green are thriving. The little tikes are getting bigger every time I visit. I’ve seen those blue orchids…I just always assumed they drank the kool-aid!